The Central Intelligence Agency (CIA) is an independent US Government agency responsible for providing national security intelligence to senior US policymakers. They have a page on their website that provides kid-friendly information about the Agency. There are also lesson plans and games included as well. 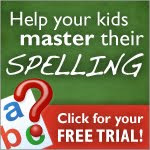 Thank you to Jolanthe at Homeschool Creations for suggesting this site.